Courtesy of Guelph Museums, McCrae House. The year was 1914. The man was 42, a doctor, pathologist, soldier, teacher, artist, writer and more. The gift – a chestnut gelding, schooled for fox hunting with an admirable conformation. John McCrae was born in Ontario, the son of a military family, with strong spiritual values and high principles. He was passionate about animals – any animals, but especially cats, dogs and horses. He was brilliant – and interested in the military. He was the first Guelph student to win a scholarship to the University of Toronto. He joined the cadets at 14 and his father’s Militia field battery at the age of 17. He was unfortunately plagued with asthma, and this condition forced him to take a break in his studies. During his time away, he still managed to teach Mathematics and English. He courted a young woman who was the sister of a friend, but sadly she met his interest with disdain. He remained a bachelor the rest of his life. He graduated from the University of Toronto with a Bachelor of Arts degree and then turned his studies toward medicine. McCrae had a fondness for children, spending his third year as the resident physician outside Baltimore, at a children’s convalescent home. He mentored other students, and it is noteworthy that two of his students would become the first women doctors in Ontario. McCrae’s military career progressed, becoming a gunner in Guelph with the Number 2 Battery, then Quarter-Master Sergeant, Second Lieutenant and Lieutenant. He became Captain of the Queen’s Own Rifles of Canada. He graduated his Bachelor of Medicine degree and received the gold medal from the University of Toronto medical school. Then he interned at the John Hopkins Hospital, working with his brother, Thomas. He was awarded a Fellowship in Pathology by the McGill University in Montreal, but felt obligated to fight in the South African War of October 1899. He requested a postponement of his fellowship and left to lead D Battery, of the Canadian Field Artillery. McCrae resigned from the military in 1904 after being promoted to Captain and then Major. In 1910, McCrae was invited by the Governor General, Lord Grey, to be the expedition physician on a canoe excursion between Lake Winnipeg and Hudson’s Bay. He was an avid outdoorsman. But now the year was 1914. Archduke Franz Ferdinand and his wife Sophie had been assassinated in Sarajevo, and the Great War had begun. Britain declared war on Germany, and Canada was automatically at war as a member of the British Empire. Bonfire was delivered to the already established Camp Valcartier, a tent city in Quebec where soldiers were being recruited and trained for overseas duty. Although McCrae already had a horse, he was happy to choose Bonfire, after getting the opportunity to ride him. But he was, and so he would remain. 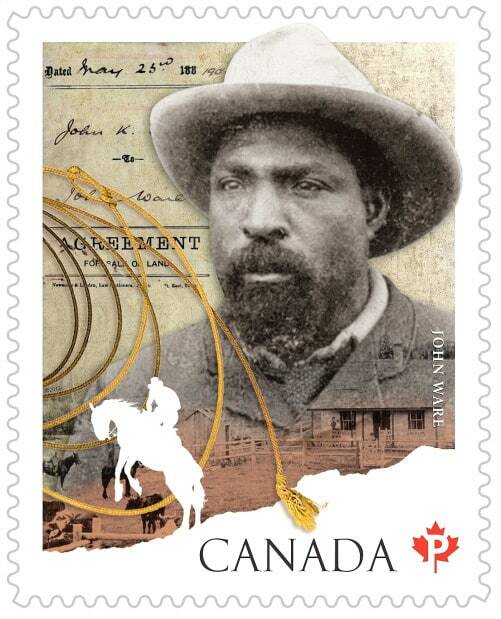 McCrae would send letters, ‘written by Bonfire’ home to his nieces and nephews and signed with a hoof print. The mass assembly of man and beast commenced in October of 1914, as troops, animals and supplies were transported via the Saxonia from Canada to Europe. 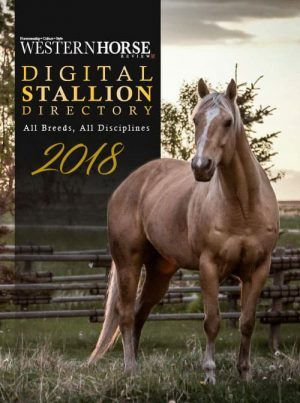 632 animals were stabled in the hold and on the unlucky 13th day at sea, a massive storm assaulted them, injuring both man and horse as they were tossed about on the water. Seasickness assailed them, and the hold was vulgar with stench. Once they arrived on British soil, incessant rain pounded them for 98 of the 123 days they were stationed there. McCrae was able to piece together a small shelter for Bonfire – only because he was a senior officer, but the majority of horses were exposed to the weather, the rain, the wind, and their health was deteriorating. All requests for shelter were denied in the wake of the war effort. Even shelter in the nearby forest was rejected. On December 2nd, a massive windstorm blew down Bonfire’s shelter. 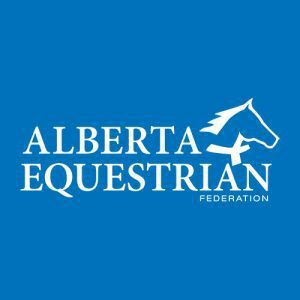 The sicker horses died on the line, and as a result, 200 of the remaining horses were granted shelter at a nearby farm. McCrae’s love for animals reached out to the other victims of war. Miss Kitty was a black and white cat who came to visit Bonfire in his shelter. She stayed behind in England when they moved on to France. On the way to France, Bonfire injured his leg; believed to be the result of a kick by another horse. 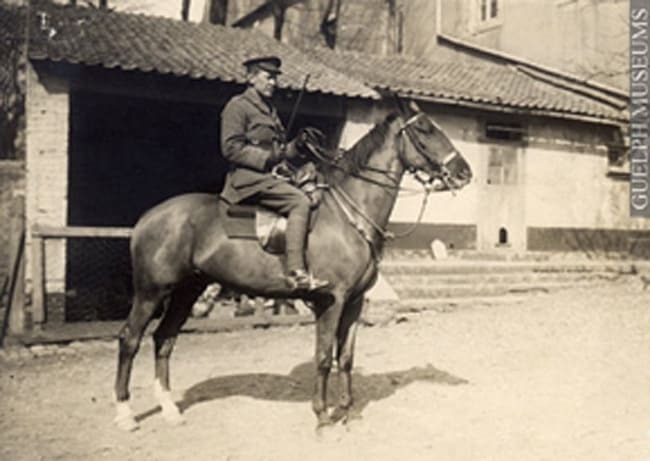 John rode him to the billet in France in an effort to try and work out the injury, but that meant maneuvering around the corpses of dead war horses, a task that challenged both McCrae and Bonfire’s sensibilities. As Bonfire learned to trust, McCrae, equally, sought the support of Bonfire’s stability and companionship. They were on the frontlines, where the constant battering of the troops, and the calls to treat the wounded, were wearing on his composure. Returning from the front, McCrae would seek the solace of Bonfire’s shelter where he could regroup before retiring. On one occasion a big grey dog with beautiful brown eyes, came running in panic. “He ran to me and pressed his head hard against my leg. So I got him a safe place and he sticks by us. We call him Fleabag – for he looks like it.” There is no further record of Fleabag. At virtually the same time, Bonfire was in a pen with another horse at a nearby farm when the farm took a direct hit. That horse was killed and Bonfire bolted in fear. He was not found until several days later, but McCrae rejoiced in their reunion when he was recovered. Shortly thereafter, after much controversy, the new McGill field hospital was established to care for the sick and wounded who were fighting in France and Belgium. McCrae was to be the new Doctor in Charge of Medicine for the Canadian Army Medical Corp under General Jones. Jones continued to warn him not to get too fond of Bonfire, and at one point an attempt was made to take Bonfire away from him. Sir Sam Hughes, Canada’s Minister of Militia and Defense, intervened, and McCrae and Bonfire were transferred to the Jesuit school near Boulogne where more comfortable arrangements awaited. They soon became friends with a French spaniel named Bonneau, and another dog whose leg had been shattered in battle. His name was Windy, and he was not fond of people who were not in uniform. They remained a regiment of four, until Windy succumbed to being poisoned, likely due to his unpopularity. It would be only a short time later that McCrae, too, would succumb to the ravages of the harsh conditions he lived and worked in. For respite and his health, he would take long rides on Bonfire through the countryside. Now believed to have been suffering from post-traumatic stress, McCrae could not justify staying in officers’ quarters when his soldiers were relegated to tent cities or worse in the trenches. The long working hours, his asthma, the gas exposure and subsequent bouts of bronchitis had taken their toll, and he became very ill with pneumonia and meningitis. Still, McCrae would soon learn that he had been appointed as the consulting physician to the First British Army – the first time a Canadian had been so honoured. Five days later, John died. He was buried with full military honours, just north of Boulogne. Bonfire led his funeral procession on a beautiful spring day, his bridle laced in white ribbons, saddled, with McCrae’s riding boots reversed in the stirrups. John’s death was widely grieved; as a friend, a mentor, a doctor and an intellect. But we will forever remember him as the man who penned a poem for Lt. Alexis Helmer, the friend that he lost, In Flanders Fields. Before he died, John knew that his poem had been well-received. After its publication, it became the most popular poem about the First World War. It was used to advertise the sale of Victory Bonds in Canada in 1917 with a target of $150,000,000. It raised $400,000,000. Due in part to the references to the poppy in the first and last stanzas, the poppy was adopted as the Flower of Remembrance for the war dead. Bonfire was to have been returned home to the Todd family in Quebec after the war – but, he never arrived. After McCrae’s funeral, Bonfire disappeared quietly – and it is conjectured that McCrae’s friends wanted to honour their friend by secretly retiring Bonfire to the pastures of France – away from the world of war and suffering. The casualties of World War I were estimated to be about 40 million; men, women and children consumed by the ravages of war. 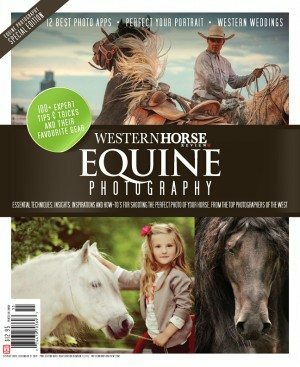 Over 8 million horses died. Bonfire was a survivor. Special acknowledgment to the Guelph Collection at McCrae House for the photos, Veterans Affairs Canada, references from Canada’s Great War Album, Minister of Supply and Services Canada, and special thanks to Author Susan Raby-Dunne, for references in her book Bonfire: The Chestnut Gentleman. 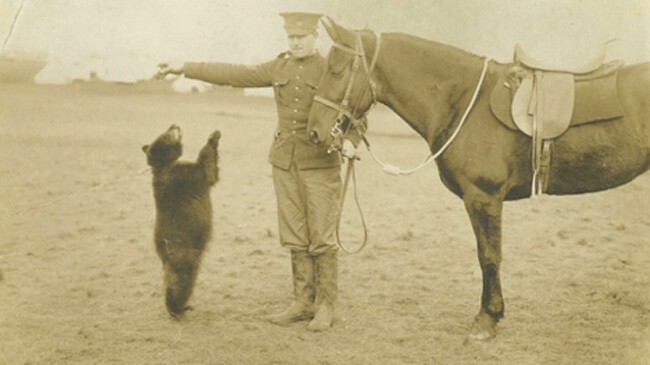 Winnie, as a cub, with one of the Sergeants from the CAVC – Photo taken 1914 Source: Library and Archives Canada. It is August 1914, and World War I has only just begun. The 34th Fort Garry Horse Division is on its way eastward by train from Winnipeg, when they stop at the small community of White River, Ontario. 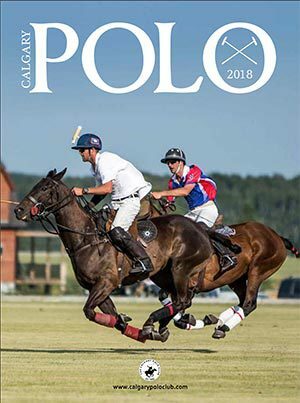 Harry Colebourn, a young Lieutenant in the Fort Garry Horse Cavalry regiment, is a veterinary surgeon, and encounters a hunter who is selling a female bear cub for $20. She is very young, orphaned, and is domiciled or “socialized” to human contact, likely by the hunter who killed her mother. Harry’s veterinary conscience embraces the young cub, realizing her prospects for a long life are not good. He purchases the bear, which he names “Winnie,” after his adopted hometown of Winnipeg, Manitoba. 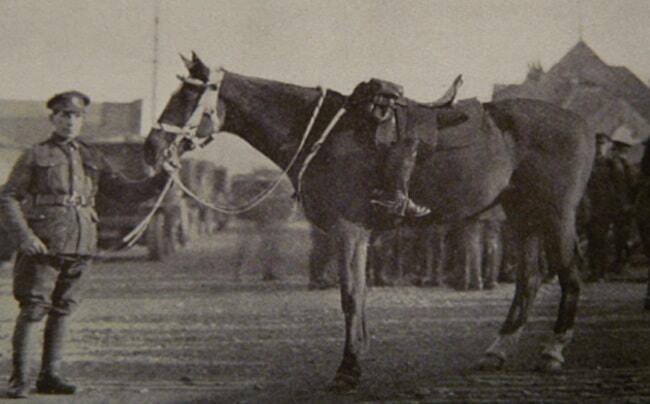 Enroute to Valcartier, Quebec, Winnie accompanied the horse regiment to report to the Canadian Army Veterinary Corps, where she became the mascot of the Fort Gary Horse Regiment. Incredibly, Winnie would travel from White River by train to Valcartier, and then overseas from Gaspe Bay aboard the S.S. Manitou, to England, providing entertainment and amusement to the troops with her keen intelligence and endearing affection. Unfortunately, she wasn’t always a favorite with the horses, and she was often blamed for some of their unregimented behaviours. Just her scent was enough to agitate some of the more hot-blooded. Winnie was to remain with Lt. Colebourn at the Second Canadian Infantry Brigade Headquarters, however, faced with the reality of the front lines, the well-being of the animals, and the overwhelming obligation to defend and protect, Lt. Colebourn was forced to make an emotional decision to find a home for her at the London Zoo when his regiment was sent to fight in France. Harry Colebourn and Winnie. The Fort Garry Horse Museum and Archives. Harry would often visit Winnie while on leave. His intention was to take her back to Canada with him to the Assiniboine Zoo in Winnipeg at the end of the war, not realizing it would be four long years before the First World War would come to an end. Fortunately for Harry, and more so for Winnie, she became a celebrity bruin at the London Zoo, with her amazing personality and gentle demeanour. The zoo-keepers even allowed children to play inside the confines of her pen, bringing a breath of fresh air, and a symbol of hope for those children living in the shadow of a frightening war. As she grew more and more popular with the children, now Captain, Harry Colebourn resolved to donate her to the London Zoo as a gesture of thanks for the care Winnie had received during her stay. 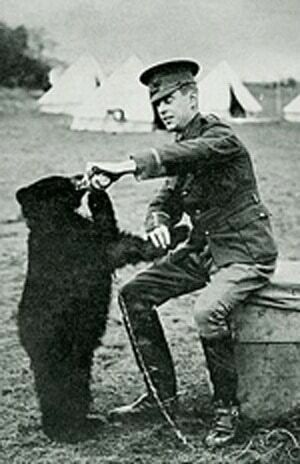 In 1919, the Zoo held a dedication ceremony and erected a plaque dedicated to Captain Harry Colebourn of the Canadian Army Veterinary Corps for donating her.One of the more frequent visitors to the zoo, who often entered Winnie’s cage to feed her condensed milk, was a young lad by the name of Christopher Robin Milne. His interest and enjoyment in visiting Winnie would result in his father’s publication of the well-known children’s classic, Winnie-the-Pooh. 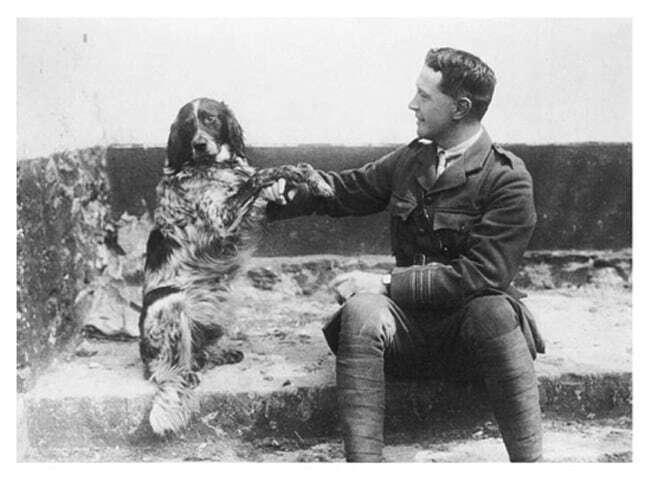 Winnie was an inspiration and a symbol of hope for London’s children of the war, as well as a diversion and a source of entertainment for those servicemen dedicated to the Canadian Army Veterinary Corps. Lt. Colebourn was a visionary in his own right – with the vision to ensure that Winnie should not be maintained in a life of imprisonment – and with the clarity of vision that comes with realizing that moral support can come from the most unusual of sources. As we approach the 100th Anniversary of the end of World War 1, we remember also, the sacrifice of the animal soldiers and mascots who supported our troops. A memorial panel inside McGregor Armoury in Winnipeg, hosts the Roll of Honour for the Fort Garry Horse. The Regiment was formed in 1912, and this memorial commemorates the servicemen who dedicated their lives to service during both the peace time and the war. 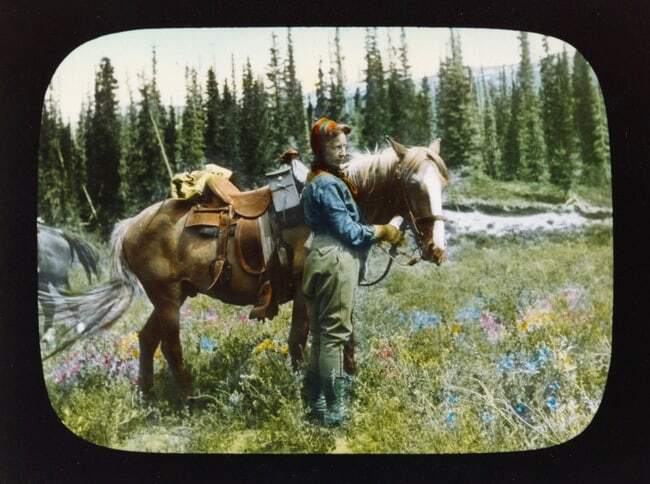 Mary Schäffer with horse, between 1907-1911, Whyte Museum of the Canadian Rockies, Mary Schäffer fonds (V527/ps-151), whyte.org. It was the spring of 1908, when a small party of six ascended a ridge of mountains at 8,750 feet, over what is now known as Mount Unwin, to view beautiful Maligne Lake in Jasper National Park, Alberta – the first white persons ever to have witnessed its allure. 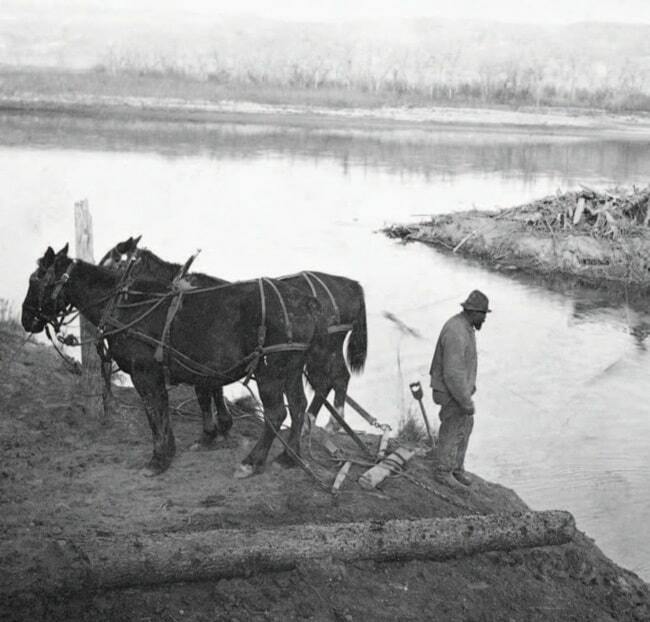 Mary Schaffer, her female companion, Mollie Adams, a botanist, three guides, 22 horses, and a dog, were on a quest to locate the mythical lake spoken of by the Stoney Indian Band of Morley, most of whom had never seen it themselves. The paternal branches of her family tree traced back to 1682, as Quaker refugees who had fled from Britain to America, having suffered the persecution of their religious beliefs. British society rejected them and they journeyed with their children to pursue a new start along Pennsylvania’s Ridley Creek. Each of Mary’s parents married “outsiders”, and their unconventionality and determination formed a foundation of strength for their girl-child, traits, which coupled with her curiosity and rebellious nature, would carry her through the many trials she would suffer in her lifetime. From a privileged upper-middle-class Quaker family life, Mary received a strong formal education, with enriched extracurricular classes in flower painting, geology, minerology, archaeology, sciences, botany, and natural history. Consequently, she developed strong interest and respect for nature, the indigenous people of North America, and their culture. 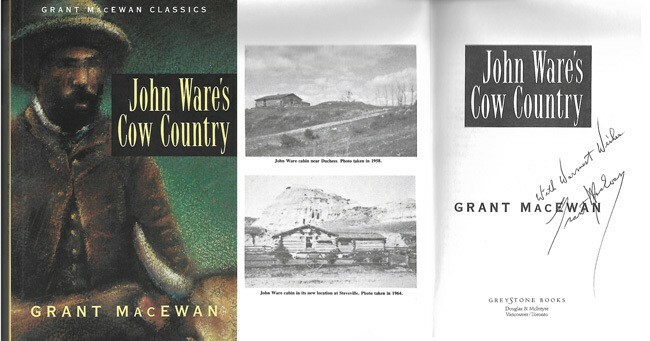 After eaves-dropping on a particularly heart-wrenching story told by her “Cousin Jim” in the US army, Mary learned of the advancing tide of white settlement, and the carnage wrought by the removal of western native populations from their land. He spoke of a baby peeping out from under the body of its fallen mother and her horror was so profound, she cried out, and was discovered, and sent to her room. Her introspection led to a love of the native people and the friendship which would eventually lead her to explore the Rocky Mountains on horseback, year after year. Mary’s first opportunity to explore the “wild west” came when she was 14-years-old. Her father, remembering his own first rail travel at the age of eight, endeavoured to provide his daughter the same experience – across the great plains. 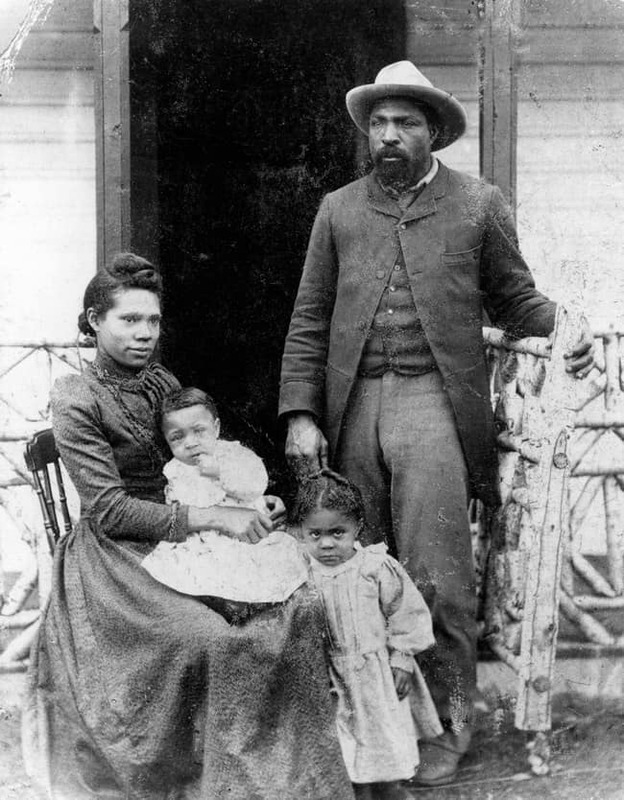 Eager to explore the wild and free lifestyle of the western frontier, and its intriguing indigenous populations, Mary was dismayed and saddened to witness instead, the condescension and mistreatment of her “friends.” Yet even at a very young age, she was able to convey a message of affection, compassion and understanding for a very misunderstood race of people. In 1880, on a steamer trip she made to the Alaskan coast, she explored Native settlements at every opportunity, even against the counsel of her chaperone. Her courage and acceptance led to a lifelong intrigue and fascination with the indigenous lifestyle and she embraced the people with an open heart and mind. 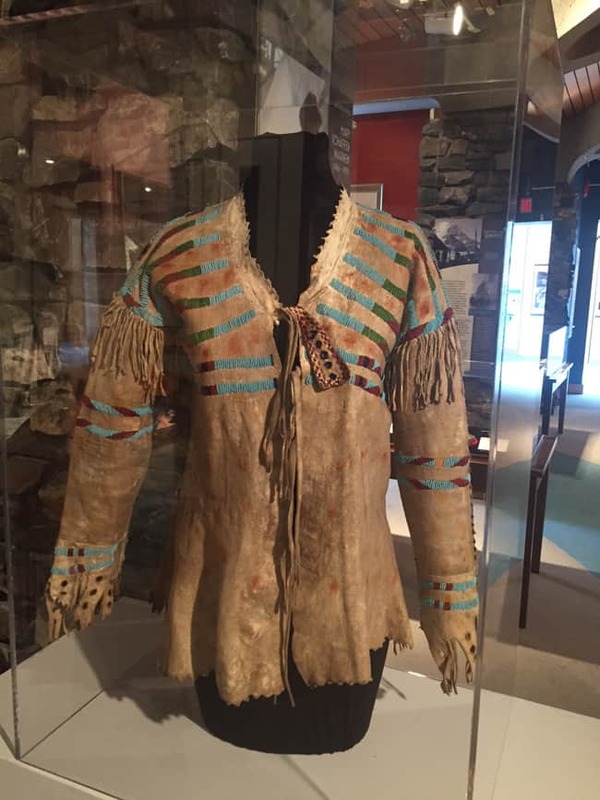 Mary Schaffer’s buckskin shirt, donated to the Whyte Museum of the Canadian Rockies. As a young adult, she expanded her travel after the 1885 completion of the Canadian Pacific Railroad. She would be accompanied by a chaperone, Dr. Charles Schaffer, who would later become her husband, despite being 23 years her senior. As a physician, and an avid scientist, her husband was devoted to the natural sciences, and in 1889, Mary agreed to accompany her new husband to a scientific gathering in Toronto. On her arrival, she was enthralled by a series of images of Lake Louise, which captivated her imagination. 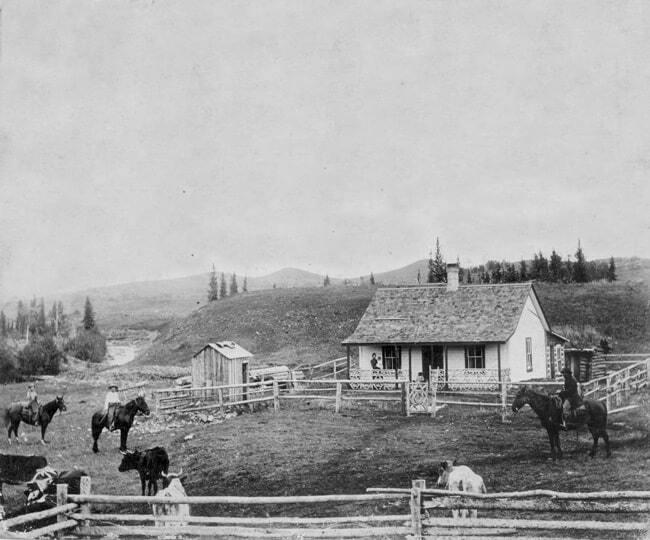 She had to travel there, and only a few short months later she would once again accompany her husband on her first visit to Canada’s wild west. On that trip she witnessed vestiges of Colonel Wolseley’s boats, abandoned after the 1869 Riel Rebellion. She met Sitting Bull’s brother and his wife, and sought permission to take his picture. She was rebuffed by his request for money, and turned away – regretting her missed opportunity later. Her first glimpse of the mountains would be from the tiny railway station at Gleichen, Alberta at 4:00 a.m. and that first impression would be indelibly carved in her mind for the rest of her life. Mary would spend the next several years until her husband’s death, assisting him with his scientific research; studying plants, identifying, pressing, drying, painting, and photographing rare and beautiful botanical specimens. She became known as the “painter of slides,” and was eventually granted a life membership in the Philadelphia Academy of Natural Sciences, despite threats of strong opposition due to her gender. At one point, she travelled with Dr. Schaffer on the top of a boxcar, forty miles, to camp outdoors on the shores of Lake Louise! But the brief encounter with Sir Hector stimulated Mary to seek solace in the mountains, their majesty and their mystery. She resolved to compose and illustrate the Guide to the Flora of the Canadian Rockies that she and her husband had dreamt about but never started. And so she returned to Lake Louise, entrusted to the care of a young Boer war veteran and guide, by the name of Billy Warren. 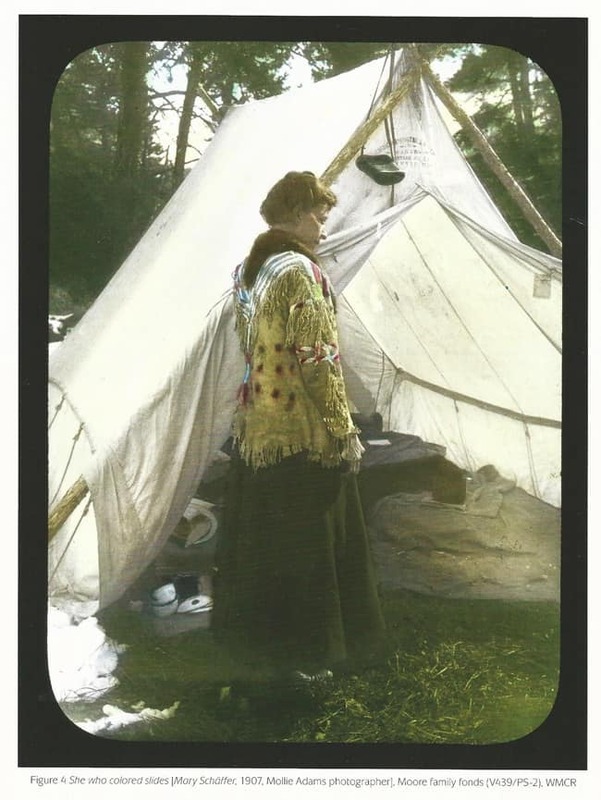 Under his guidance, she developed the outdoor skills required to complete her mission, and in so doing, became the first non-aboriginal woman to explore the areas encompassed by Banff, Yoho, and Jasper National parks. A picture of Mary Schaffer-Warren is in her book entitled A Hunter of Peace. The picture was taken by her friend Mollie Adams in 1907. It says Moore family fonds (V439/PS-2) WMCR – which references the second edition of A Hunter of Peace with illustrations from photographs by the author and by Mary W. Adams and others – as referenced in the book available at the Whyte Museum of the Canadian Rockies (WMCR). In 1911, the Canadian government approached Mary to survey Maligne Lake, a task previously assigned only to men. Her accomplishment as an artist, photographer and writer stood her in good stead. Her survey resulted in the inclusion of Maligne Lake within the confines of Jasper National Park. Despite being 20 years his senior, Mary would eventually marry her guide and mentor, Billy Warren, to whom she always referred as “Chief,” out of respect for his skills as an outdoorsman. He would build her a home in Banff, which stands to this day as a symbol of the respect she garnered as an accomplished “Mountain Woman,” the name given her by the Stoney people.